Cultural values, weak business policies by decision makers have been identified as some of the issues affecting women in business in Kaduna state. This was contained in a paper titled: “Reducing the Gender based Business Environment Risks in Kaduna State”, at the Gender and Business Dialogue Platform, GAB, organized by Kaduna State Ministry of Women Affairs and Social Development in collaboration with Women’s Business Membership Organizations, BMOs in Kaduna yesterday. According to the report, performance and effectiveness of women running businesses are being challenged by environmental risks. This reduces income to the family and to the State Government. “Cultural or traditional values where the exhibition of business prowess is presumed as wanting to take over or competing for the leadership of a family sometimes leads to divorce cases or conflict in the home. “Women experience limitations to fulfill their potentials and they suffer discrimination while most people still live with the mentality that certain businesses or tasks are better handled by men,” the report said. Some of the issues highlighted include: cultural hurdle, poor access to land, un-affordable business infrastructure, multiple taxation and levies, high cost of doing business, socio-political environment, and health care among others. Deputy Governor of Kaduna State, Arc. Bala Banarbas who represented his principal said the present administration of the State have done what is necessary to open up the channel through which women will move successfully and compete favourably with their men counterparts in any field of endavours. According to him, apart from appointment of women into government, every commissioner in Kaduna State is under the instruction of Governor Nasir El-Rufa’i to ensure that each policy of government is tied around the inclusion of women. “We as a government in Kaduna State have done what is necessary to open up the channel through which the women will move successfully and compete favourably with their menfolk. “In our appointments, policies and institutional framework, we’ve appointed women in government; but beyond appointment of women in government every commissioner is under the instruction of the Governor to make sure that each policy of government is tied around the inclusion of women. “What only remains now is to take the next step of organizing to meet with the various institutions. Where you have legislative issues, we have a robust parliament now that’s there to make good laws so that they’ll not encumber women. “Where the issues are cultural which are sometimes confused with religious inhibition, they can have a dialogue around the traditional institution in order to solve the problem. “I’m happy therefore to note from this dialogue platform that women of Kaduna State through the leadership of the honourable Commissioner for Women Affairs and Social Development have positioned themselves in a manner that they’ve critically analyzed all the impediments standing between them and progress. “So, this program I believe if we’re called back here next year like I’ve advise them it is expected that they’ll give a report which will show the landmark achievements they’ve made between now and next year,” he said. Mr. Kevin Conroye, Head of Enable 2, Partner and supporter of GAB said he was informed by the Commissioner for Women Affairs and Social Development, Hajia Rabi Abdulsalam that women economic empowerment is one of the top agenda of this administration. The Head of Enable 2 said this event put together is guidance to the way forward, hoping that from today he’ll like to see the recommendations go forward, and see the commitment from Kaduna State Government to start to begin to address its major problems of multiple taxation, certification, equal access to finance and land among others. Speaking further, Mr. Conroye said today in the UK 25% of the top100 companies are run by women. Companies like Barclays, Shell, Visafone, adding that to get to that stage wasn’t easy that it took most of dialogues between businesses and government, certain targets, policy reform, engagement and hard work. “I hope today will be the start of this reform and I hope to hear from the comments of the government also. “My prayer now is that we’ll live here with a commitment to continue this dialogue to host it around the same time next year or even sooner. 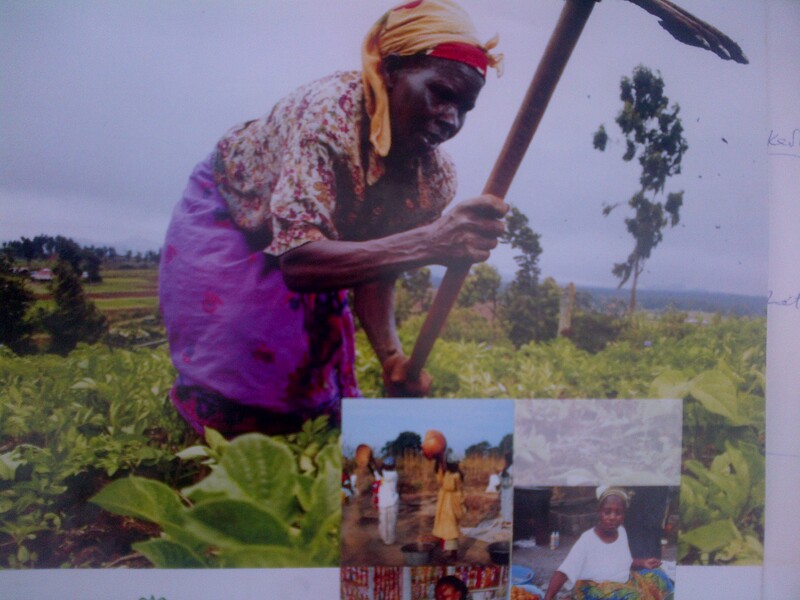 Let’s make women start delivering economic development for Kaduna State,” Conroye said. Earlier in her speech, Commissioner for Women Affairs and Social Development, Kaduna State, Hajia Rabi Abdulsalam, said the program is a start for a new beginning for women in Kaduna State. According to the commissioner, the administration of Governor Nasir El-Rufa’I has women economic empowerment as one of its top agenda where women, children and all socially excluded groups will be protected from violence and have equitable opportunities. She advice the women to avail themselves of the opportunity and key into this new beginning for the betterment of their lives, families, Kaduna State and the nation at large. Dignitaries at the event include, wife of the Deputy Governor of Kaduna State, Mrs. Ladi Bala Banarbas, Representatives from Bank of Industry, Bank of Agriculture, Central Bank of Nigeria and Nigeria Police.